Russell T. Davies revealed a new over-arching title for the fourth season of his Doctor Who spinoff Torchwood — and explained the basic plot idea. 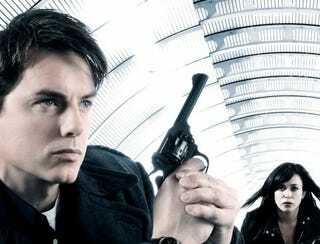 Which is totally demented, and makes us even more excited to see Torchwood return. The premise is a miracle happens in the world. One day, on Earth, no one dies. The next day, no one dies. The day after that, no one dies. The [people who are] dying, keep dying … but don't actually die. The possibility of death ceases to exist. Which is great for some people. But it's an instant overnight population boom. The earth relies on people dying … What is society going to do now? Some of the answers are beautiful and brave. Some of the reactions are terrifying.